The VRI SE Sharp Edge Tester is used for determining the sharpness of edges of electrical equipment and other consumer products. 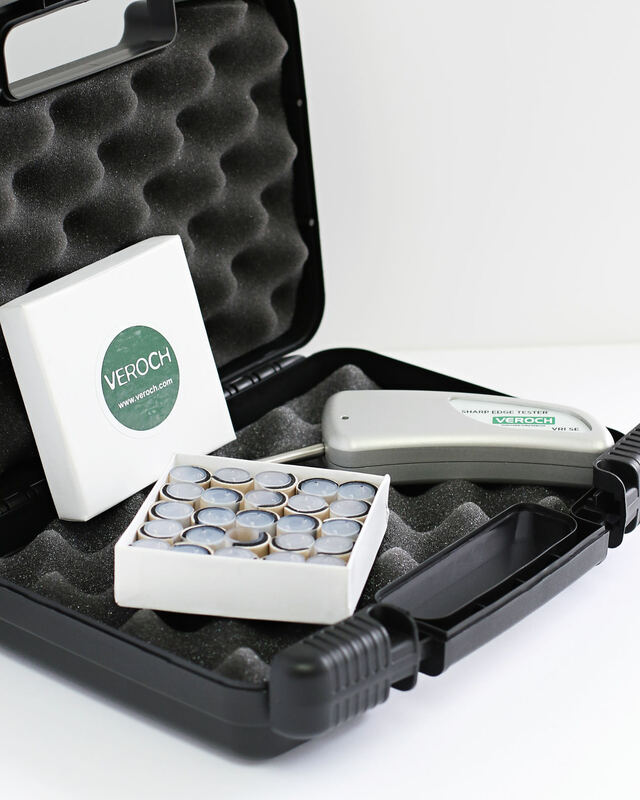 It is used to determine the potential personal injury related to the sharpness of edges that are part of or associated with appliances and equipment. A sharp edge of an enclosure opening, frame guard, knob, handle or the like of an appliance or equipment shall be smooth and rounded so as not to cause a cut-type injury when contacted during normal use or user maintenance. If you have a new product that you plan to submit to UL Underwriters Laboratories for approval, you must use a Sharp Edge Tester to test the edges. 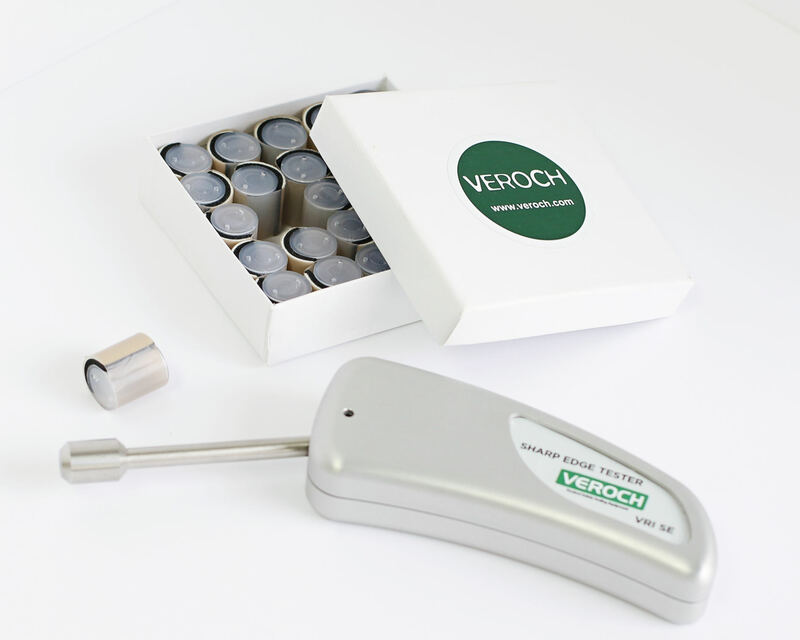 The Sharp Edge Tester VRI SE is made of tough metal (not plastic). All moving mechanisms are protected against dirt and breakage. The Sharp Edge Tester VRI SE is also used for compliance with US Federal regulations for consumer products. It also meets requirements for Canadian regulations. The US Federal regulation is Title 16, Volume 2, Chapter 11, Part 1500. The arm pressure can be adjusted over a wide range to accommodate all regulations and customs requirements. 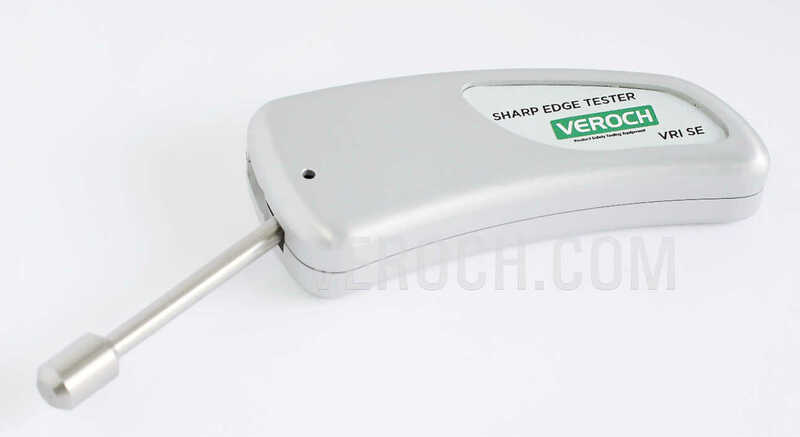 The Sharp Edge Tester is used worldwide by manufacturers of many industries such as furniture, toys and juvenile products, medical devices,; automotive, marine and aviation equipment and much more. 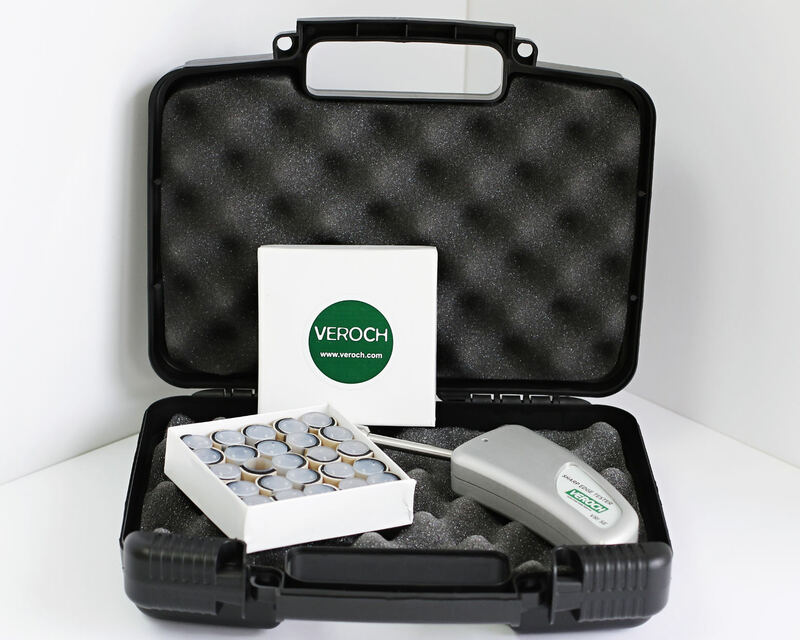 VEROCH Calibration Laboratory offers calibrations with data and uncertainties. The Sharp Edge Tester shall be calibrated so that a 1-1/2 lbf (6.7N) is present ate the center of the head when the arm is between stops. The center of the tape-covered head of the Sharp Edge Tester shall be positioned on the edge to be tested in the manner illustrated in figure of 7.2 of the Standard. The arm of tester shall be between stop so that the tape-covered head exorts a 1-1/2 lbf (6.7) on the edge. The tester shall be immediately moved along the edge a distance of a2 inches (50.8m_ and back to its starting position without removal of the tester from the edge.